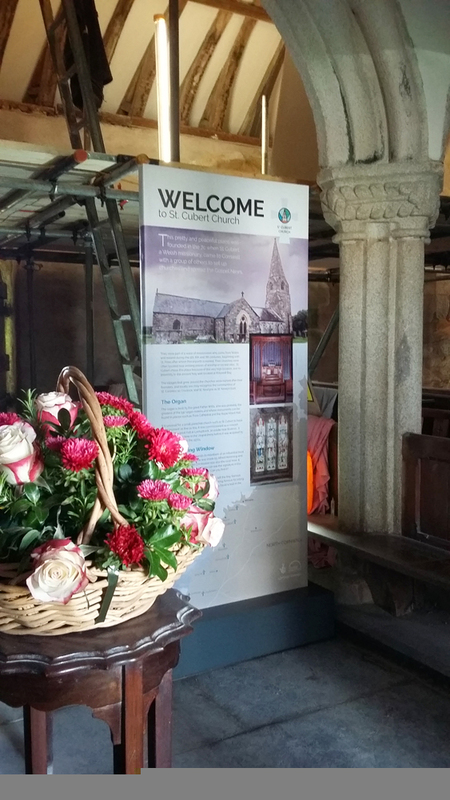 St Cubert church is in the village of Cubert, a beautiful spot on the north Cornish coast. 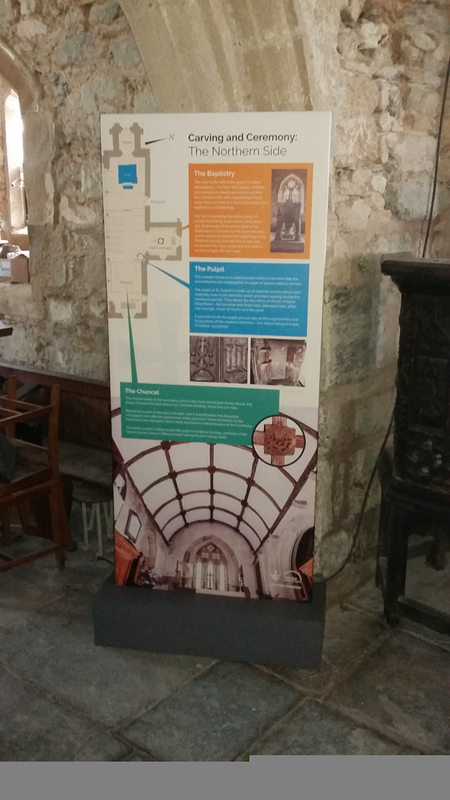 The church was founded in the 7th century and has some lovely features: medieval roof carvings, stained glass and a Father Willis organ to name but a few. 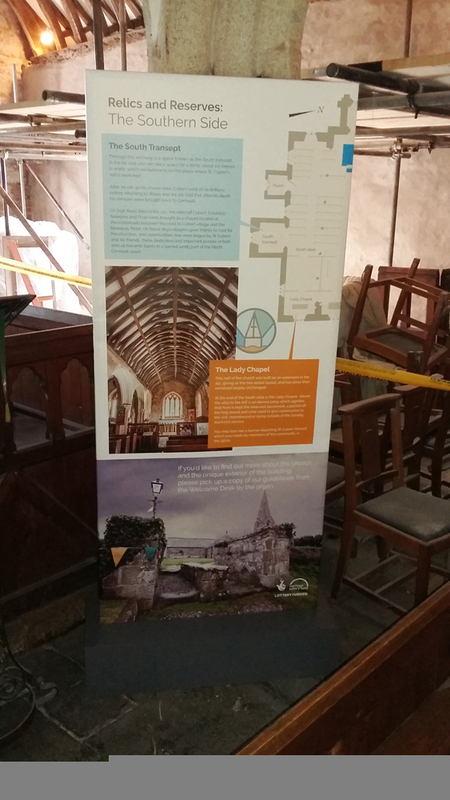 Following an HLF grant for restoration work, we were commissioned to produce some interpretation panels, guide book, signage and a visual identity for the church, which is part of the ‘Atlantic Cluster’ of seven churches in the region. Instead of off-the-shelf pullup banners, our panels are on stretched canvas, slotted into specially designed base units. They can be taken down and stored easily but have a look much more in keeping with the interior of the church.